Finding the right drum kit begins with figuring out whether you need a shell pack or a complete drum set. With that out of the way, you must consider the number of pieces, whether you need a double or single bass drum, and what the shell sizes should be. Presuming that you have all that figured out, all that remains is that you take inventory of what the market has in store and what you expect from a drum kit in the first place. To help you in that regard, we put together a list of the ten best drum kits the market has to offer at this point in time. 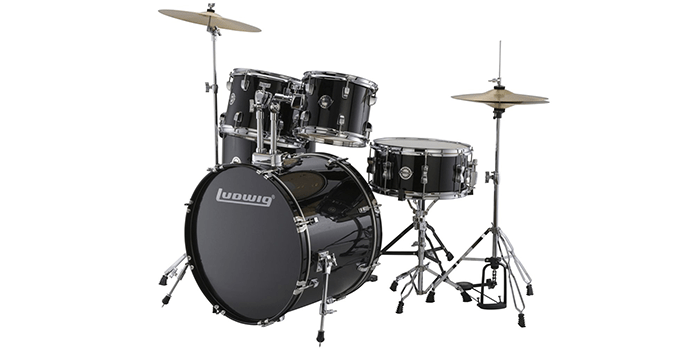 Available in a glossy black finish, the Ludwig Accent Drive Black 5-Piece Drum Set is the complete package for new drummers as well as experts. Equipped with all you need to start playing, this drum set comes with a bass drum measuring 16×22, a snare drum measuring 6.5×14, 2 mounted toms, each measuring 9×12 and 8×10, and a floor tom measuring 16×16. The kit also comes with hardware from the 200 series that include a double braced cymbal stand, hi-hat stand, and snare stand, a drum throne along with a chain drive kick pedal. To complete the entire drum set, it features two heavy-duty cymbals including a 16-inch crash/ride and a 13-inch hi-hat. 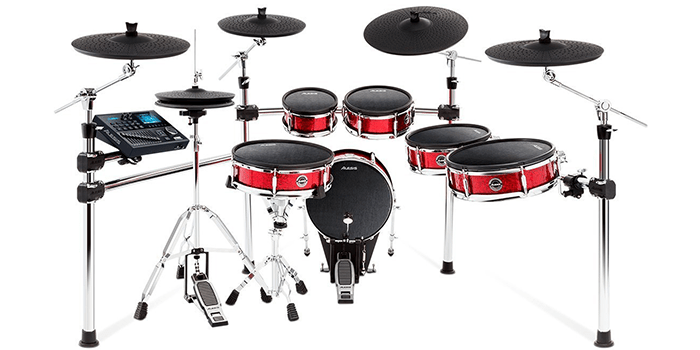 The RockJam Mesh Head Kit is an 8-piece drum set that is uniquely crafted and constructed with a great set of functions and features. Including 4 mesh head velocity sensitive touch pads, it offers optimum sound quality, brilliant feel and exceptional response. Equipped with 3 heavy duty toms that are made with premium grade rubber, it also includes control pedals for the bass and the hi-hat. Featuring a USB port, an aux in, headphone output and MIDI output, the system comes with 30 inbuilt drum kit voices along with a wide range of demo tracks to help you enhance your drumming skills. Unlike most of its kind, the Alesis Strike Pro Kit is a premium grade drum kit that features a 4.3-inch full-color LCD display screen along with a strike performance module. Equipped with high quality sound effects, this kit includes a special editing software that allows users to create and customize their own personalized drum kits and instruments. Crafted with strong, durable materials, this drum kit features large sized mesh heads that come with a wooden shell and include individual outputs. 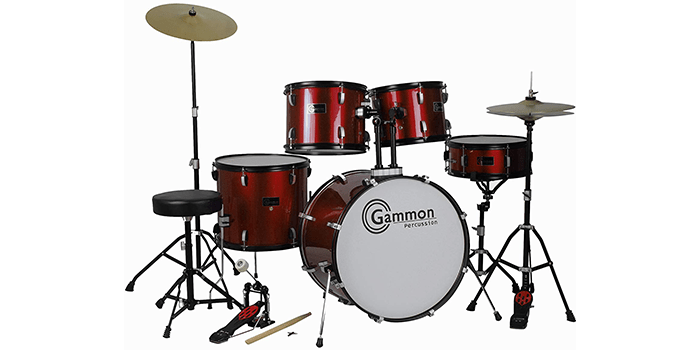 The Gammon Percussion 5-piece Wine Drum Set is a complete kit that comes with all you need to start with your drumming journey. Built with a premium quality glossy red wine finish that would stand out anywhere, not only does it produce exceptional sound quality but also looks great. Including a bass drum, snare drum, two mounted toms, and a floor tom, it also includes a crash cymbal and a hi-hat and comes with sticks, stands, and a stool. 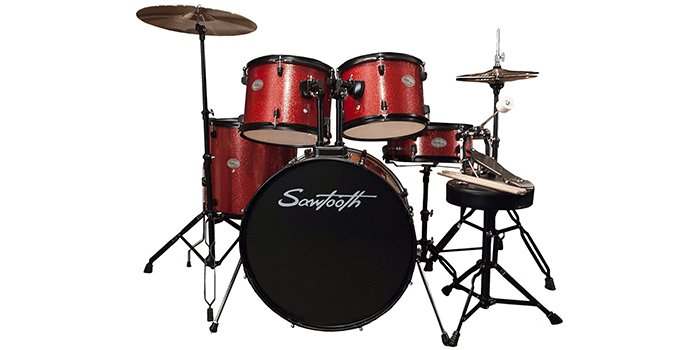 Ideal for beginners and amateur drummers, the Rise by Sawtooth Full-Size drum set is a student kit that features all the necessary equipment and parts you need to start learning. Featuring a 22×16 bass drum, 2 snare drums of 12×8 and 13×9 each, a 14×5 snare drum and a 16×16 floor tom, it comes equipped with 6 ply poplar shells with bearing edges that are 45 degrees each. 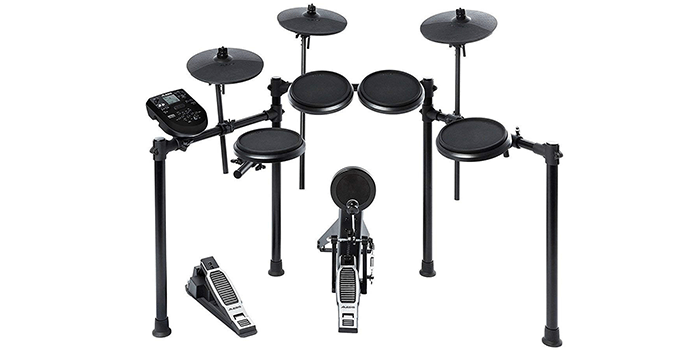 The hardware part of this drum kit includes stands for the cymbal and hi-hat, a bass drum pedal, 3-floor tom legs, 2 tom arms, drumsticks, and a drum key. The cymbals that come with this kit are a 14-inch hi-hat and a 16-inch crash ride. 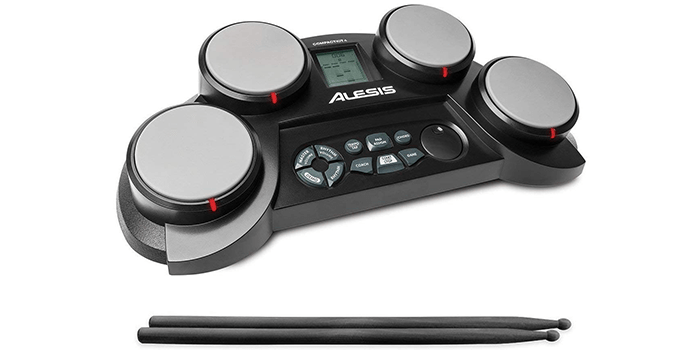 The Alesis CompactKit 4 is a portable electronic drum kit that comes along with drumsticks and an AC adapter for power input. 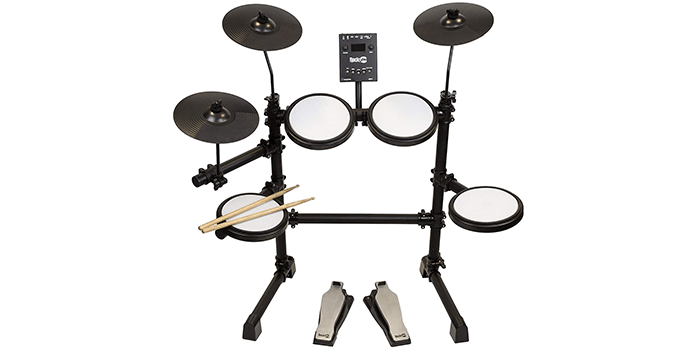 Featuring 4 velocity sensitive touchpads, this electronic drum set produces high quality, clear and realistic sounds and effects that would enhance any music track. Equipped with 70 percussion voices that are pre-programmed into the kit, it also includes 10 effect voices and 50 inbuilt songs that you can play along to. For new users, it comes designed with a coaching feature that automatically displays the notes on the LCD screen to help instruct the user as to what they need to play, in turn helping them to enhance their skills. 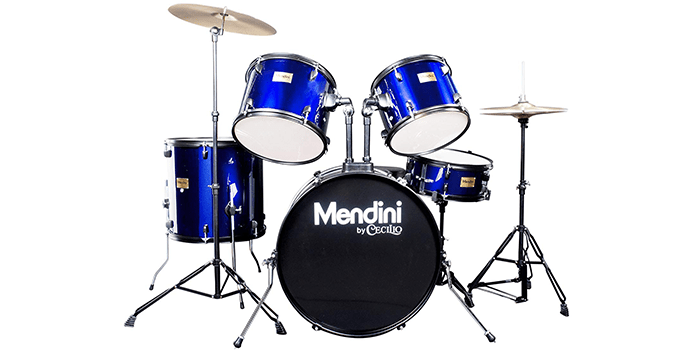 Designed specifically for teenagers, the Cecilio Complete Full-Size 5-Piece Adult Drum Set by Mendini comes equipped with all the necessary equipment and tools you need to accentuate your drumming skills. Featuring poplar shells that have been cross laminated for added durability, it comes with triple flanged hoops and lungs that have been coated with black powder. 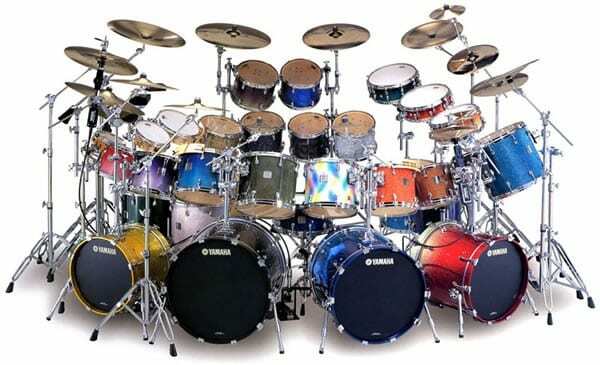 The complete drum kit includes a 22-inch x 16-inch bass drum, two toms measuring 12-inch x 8-inch and 13-inch by 9-inch and a snare drum that measures 14-inch by 5.5-inch. Along with this it also includes a drum throne that is well cushioned and can be easily adjusted, stands for the cymbals and hi-hats, drumsticks, a snare that is double braced and a heavy-duty chain drive bass drum pedal. The Alesis Nitro Kit is a heavy-duty, premium grade electronic drum kit that delivers high-quality dynamic sound effects and comes packed with exceptional features. Equipped with comfortable, durable drum pads, it offers the perfect response levels with a natural feel while playing. Packing premium quality 8-inch drum pads made from rubber, including a Dual-zone snare and 3 single-zone toms, this kit comes with a kick pad tower along with a heavy duty bass drum pedal. The 10-inch cymbals include a ride cymbal, a hi-hat and a crash cymbal with a choke. Thanks to its sturdy 4 post rack made from ultra-solid aluminum, it offers optimum stability and strength. 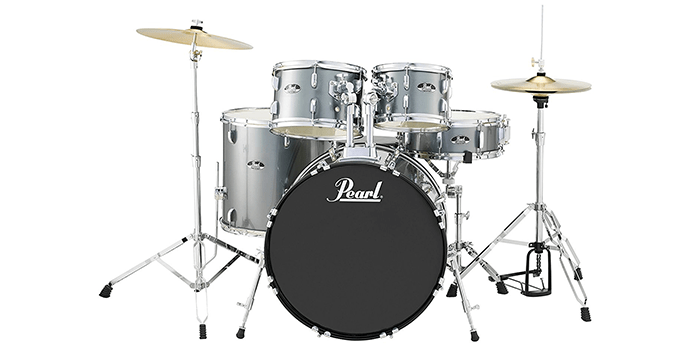 Featuring a classic construction and design with a metallic charcoal finish, the Pearl RS525SCC706 Roadshow 5-Piece Drum Set is a ready-to-use kit that can be played right out of the box. Equipped with all you need to start playing, this drum kit includes a 22 by 16 bass drum, a 14 by 5.5 snare drum, and a 16 by 16-floor tom. The cymbals that come with this kit include a 16-inch crash ride and a 14-inch hi-hat. Furthermore, the hardware features an individual stand for the cymbal, hi-hat, and snare and also includes a bass drum pedal, 2 holders for the toms, and a throne for good measure. 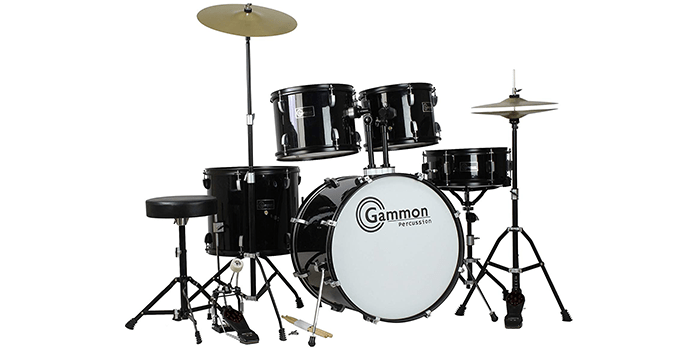 The Gammon Percussion Full Size Complete Adult Drum set includes all the necessary drums, cymbals and stands needed for an optimal setup. Featuring a bass and snare drum, a floor tom along with 2 mounted toms, high-quality cymbals, drumsticks, stands, a stool, drum pedals, a drum key and hardware, this kit comes with everything you need to start your drumming journey. Made with premium quality materials, this drum kit is sturdy, durable and comes with a glossy finish on each drum, giving you that enhanced stylish touch. Along with all of the above, the kit comes with a DVD guide to help you get started right away.